Faculty and librarian members of the bargaining unit who are half-time or above are immediately eligible for health and dental insurance. All members must be minimum half-time per semester to maintain benefits once they have become benefits eligible (NOTE: Summer and Winter sessions do not count toward benefits eligibility). Health insurance is provided by the Group Insurance Commission (GIC), the state body that insures state employees.Please note that here is a 60 day waiting period between hire date/date of benefits eligibility and effective date of health insurance coverage. For details on health insurance options, costs, etc. contact UMB Benefits Manager, Barbara Jean Conneely (617 287-5158). Current GIC members who subsequently obtain health insurance through a non-GIC provider (i.e. via health insurance from a spouse), may be eligible for a premium buyout program. See here for more information. IMPORTANT UPDATE: The GIC has recently decided to increase its plan rates. For a detailed summary of plan premium changes click here. 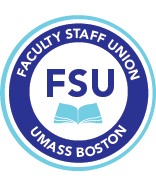 The FSU will keep members updated on other changes and what members can do to fight the increases. Dental insurance is provided free to bargaining unit members via the Health and Welfare Trust established by Article 27 of the collective bargaining agreement. Please note that there is a 6 month waiting period between hire date/date of benefits eligibility and effective date of dental insurance coverage. The trustees, comprised of MTA members, have chosen Met Life (800 942-0854) as the insurer for dental coverage (contact Met Life Dental for information on the plan coverage). For other questions, including questions on eligibility, enrollment status, or COBRA information, you can contact Health Plans, Inc. (877 906-5939), the administrator of the dental coverage plan (the group number is 93994). Limited vision benefits are offered through Met Life as part of the same plan established via the Health and Welfare Trust. For more information, go to Met Life (My Benefits), search for Massachusetts Teacher Association in the organization category, and proceed from there to Discount Vision link.